Living in the heart of Manhattan may appeal to some big city enthusiasts, but for those who prefer the charm and slightly calmer ambiance of urban waterfront living while remaining conveniently close to the concrete jungle, The Avenue Collection may fit the bill. 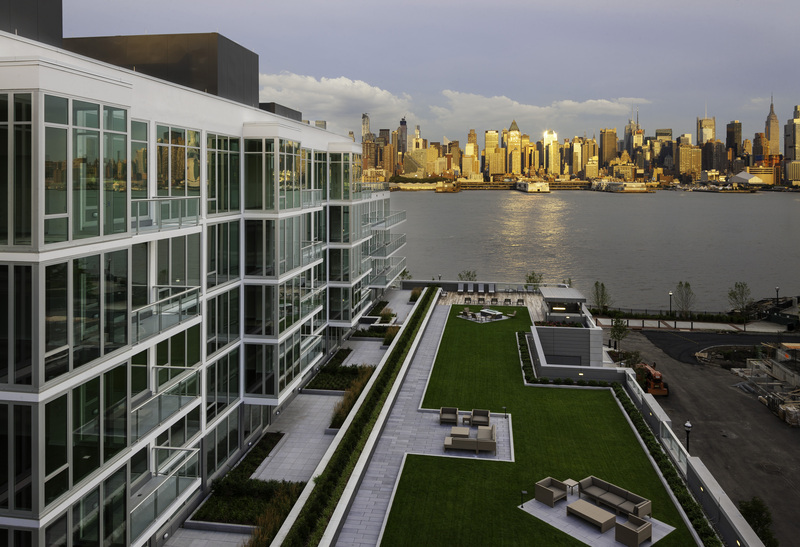 The new offering of upscale condominium residences and five-star, hotel-inspired amenities and services is situated along the Hudson River waterfront in Weehawken, NJ facing midtown Manhattan. 1000 Avenue at Imperial, the first of five modern buildings in the collection, features 74 of the total 669 ultra-luxe residences to be built. 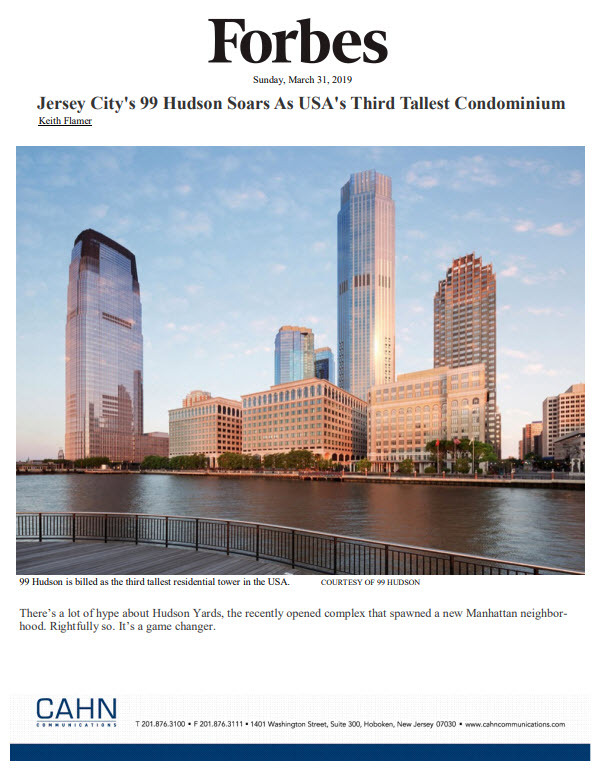 Nearly 70% of the homes in the first building are already sold and occupied, having successfully appealed to a discerning clientele that appreciates the privacy of a boutique, seven-story building, panoramic views of the Manhattan skyline, and a location within steps of ferry service to Manhattan and easy access to the Lincoln Tunnel, Hudson-Bergen Light Rail and Newark International and Teterboro Airports. Lennar, one of the nation’s largest homebuilders, fashioned a private suite of amenities for the property to foster an upscale, hotel-like lifestyle within an intimate setting. A two-story lobby lounge with reception and 24-hour Concierge welcomes residents and guests, while a social room looking out onto New York City, a state-of-the-art fitness center with sauna and steam showers, and a third-floor outdoor plaza featuring a convenience kitchen, open lawn, seating areas, fire pit, sundeck and cooling sprays enhance the overall lifestyle. Fully-furnished guest suites are available for visiting friends and family. Design distinction extends to the homes as well. Found throughout the expansive one-, two- and three-bedroom residences, which are priced from $1.1 million to $2 million, are Brazilian Chestnut hardwood floors in main living areas and gourmet kitchens with a GE Monogram Appliance Suite including Pro Style Range, Avantium oven with SpeedCook Technology, direct vented Avantium hood to outside air exhaust, Energy Star® rated refrigerator and dishwasher, under-counter wine coolers in select residences, Spazzi European cabinetry in a raked wood finish with integral handles, DalTile marble kitchen floors and marble backsplash, and granite counter tops. Lennar is developing The Avenue Collection in the heart of the $2 billion master-planned Port Imperial community which stretches two miles of Hudson River waterfront and offers residents access to a beautiful waterfront promenade with shops, restaurants and parks.